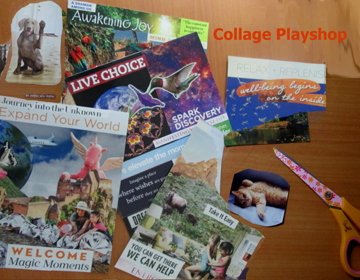 On Sunday afternoon, July 24th, we’ll be hosting a collage making class here at JOY! Using the play of cut and paste, gain insight into yourself, and empower your dreams. No experience is necessary. 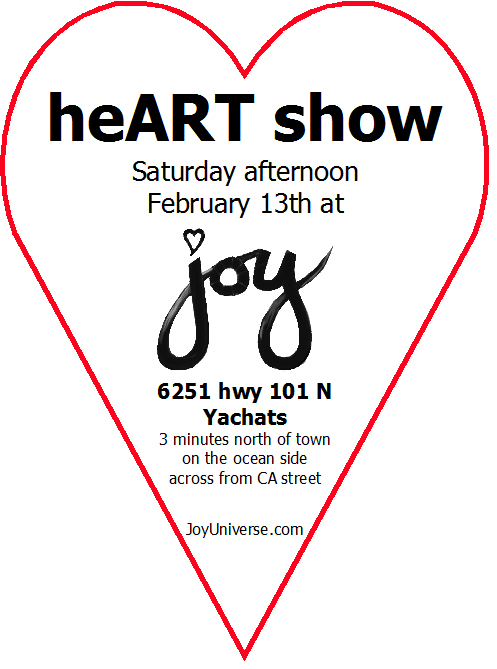 Just bring an open heart, grab a friend, and come ready to have some fun. You might be surprised by the results. The collage workshop is from 1-3 pm. All supplies are provided. You are also welcome to bring any images or magazines that speak to you. Class fee is just $15. Please let us know you’re planning to attend. Thanks. Not coincidentally, July 24th marks the end of the past in the Mayan calendar. This special time offers us an opportunity to step out of our usual routines for a few days so that we might create our futures more intentionally. Quantum physics reminds us that there really is no such thing as an inanimate object. Our senses tell us when an item has been made with Loving intent and skill and attention. One of the joys of encouraging ourselves and others to create with more awareness is that we get to live with more objects of beauty. What makes an item beautiful? Grace. Usefulness. Intent. Craftsmanship. Appreciation. Of course. Love is often the answer. Creating is natural. Inspiration flows as we tune in to the Source of creativity. 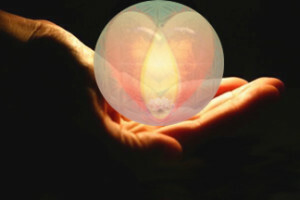 From that place of harmony, we can then use our hands and hearts and tools to bring something new into form. 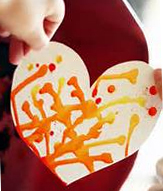 As we expand in our creative play, it can be helpful to view our play time as a gift of Love that we give ourselves. From that place of Love, we can create beauty. This week as you play, see whatever you create as a gift given to you to birth into a form that you can give to another. 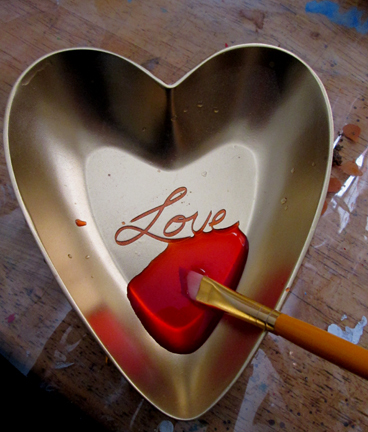 create it as a gift of Love. Beliefs obviously contribute to experience, and the inverse can also be true. Yet however much one might deny innate creativity, as human beings, we just can’t help being creative. Throughout an incarnation, the cells of our body keep regenerating. Thoughts keep wanting to evolve. New lyrics keep emerging for old tunes. Emotions keep morphing. Fresh ideas are playfully courting us. Creating is inevitable. Certainly we can repress our natural creativity. We can use it to create boredom or drama. We can twist it into conformity. We can seek external approval and use our creativity to masquerade as a PR version of ourselves. or copy others and pretend to be someone else. And still, even in the midst of the most uncomfortable pretzel-izing, approval-seeking conformity, creativity can’t help but leak out of us. We are all, each and every one of us, natural-born creators. So why don’t we consciously create more… more often, more joyfully, more intentionally, more prolifically? The over-simplified answer is fear. Most of us have faced resistance, both internal and external, to our creative expressions. What might happen if we used our creativity to tell a new story? What if creativity flows more easily when we stop “trying” so hard, and just relax and play with Life a little more? What if we choose LOVE instead of fear… love of self, love of Life, love of our ever-evolving, ever-changing journey, love of our own unique refraction of Light? Pick a form of creative expression that is NEW to you. Approach it as a young child. Use beginner’s tools. Keep your playful process and the results private. Keep quiet about what you’re doing, at least for several months. *(based on spiritual principles and scientific research). Can baking cookies make one a better architect? Can embroidery help one write a better novel? Can dancing improve your ability to sculpt? Can gardening make you a more successful entrepreneur? Please note: If you would like personal help in your creative journey, we offer specialized, personal creativity coaching to those who walk in Love. Whether you have been consciously creating for decades or you’re just getting started, Creative AmPowerment ™ coaching can help you move into more expansive and focused awareness and tangible expression. 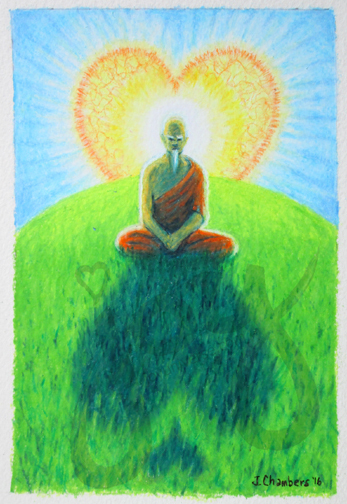 You can request an application and more info in the comment section at the bottom of the meditation page. This morning, April 30th, folks all over the world gathered together to practice Tai Chi at 10 a.m. It was a 24-hour wave of peaceful Tai Chi and QiGong with participants across the global community contributing their peace and focus. Here at JOY, we just happen to have our regular beginner’s Tai Chi scheduled for 10 a.m. on Saturdays. How fortuitous! This morning was warm and sunny, so we had our first outdoor group of 2016. 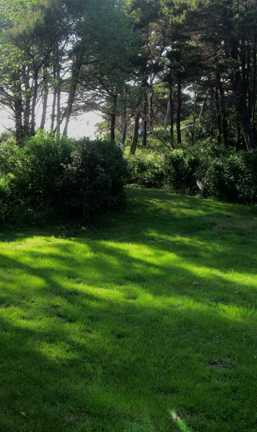 The sun was shining, the birds were singing, the ocean was making its own waves, and we had a lovely time sharing with new friends in the warm sunshine of a green spring morning. We even had a little bunny watching from the sidelines. If you’d like to join us for gentle mindful movement, you’re quite welcome. No special knowledge or skill or equipment is necessary. We practice gentle, peaceful Tai Chi, not martial arts. Each class is uniquely tailored to the participants, and modifications are offered for each move. If you’re visiting Yachats, Waldport or Seal Rock on a Saturday morning, come enjoy the energizing benefits of a gentle Tai Chi class. Come seed your future with images and intention. I just finished reading three new-to-me articles about the power of Nature in restoring wholeness to human physical and emotional systems. This is a topic near and dear to my heart – one of the many, many, areas where “science” is finally starting to acknowledge what ancient wisdom has offered all along: Nature heals. More interesting to me, and I hope to you, is how simply and easily all this research just landed in my lap. It all started with a trip to the post office on the way to JOY today. At the post office, I overheard two conversations – neither of which had anything to do with me… or so it seemed. One conversation was a woman telling a kindly neighbor man how just sitting outside, looking at the ocean was helping her heal from the grief of losing her mother. The other was something about the library. I didn’t even hear a complete sentence. Only the word library popped out at me. So… I took a circuitous route back to our little vortex of JOY, driving slow along the ocean road, watching the waves and feeling extreme gratitude for this beautiful location that has welcomed us home. Then, up 7th street toward the highway and, oh look, the library is open. Wonder if they have any free magazines? I’m doing a collage workshop in a couple of weeks and it would be good to have a few more magazines. 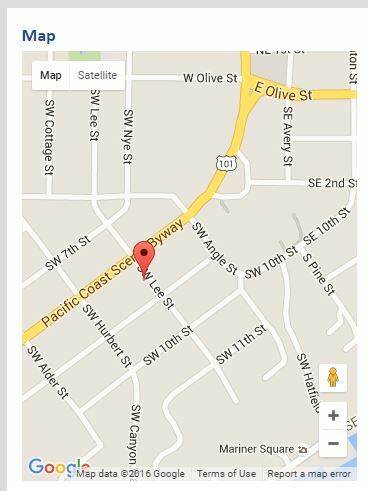 Logic, reasoning and scheduling would have saved this errand for another day. Fortunately, I’m much less logical and a bit more mindful of the magic inherent in now than I used to be. 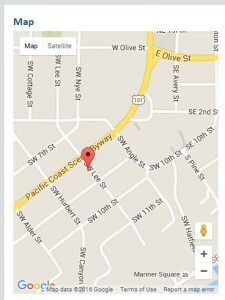 I was right there, then. It just so happened that the library had a big stack of old magazines they were releasing. In and out in just a few minutes with an eclectic armload of glossy magazines, and on down the road to JOY. And what was in that mish-mash of glossy words and photos I had gathered for other people’s vision boards? The aforementioned three, count ’em 3, articles on the scientifically-proven healing power of spending quiet time in nature, complete with footnotes and annotations and additional references providing me with more research data for my own writings. You may be wondering why I would think this has anything to do with you, or if there is a point to this rambling. It does. There is. LIFE IS CONSTANTLY TRYING TO BLESS US WITH GIFTS, MESSAGES AND BLESSINGS. We just need to slow down a bit, and pay attention. If I had written a plan for the day, I would not have included a trip to the library on this list. Had I rushed through my own mental to do list, I could have spent many hours (or days) searching for the very research, complete with pretty pictures, that was dropped into my lap, so easily and serendipitously today. How wonderful life can be when we remember to be present! co-incidence, angel play and the easy way. Today I am grateful for grace and for the million little signs along the path. we host a meditation group here in Yachats at JOY. and know, or want to learn how, to sit in silence. then we are silent, allowing each individual to have their own peaceful and personal experience. Meditation lasts about a half an hour. with like-hearted people. 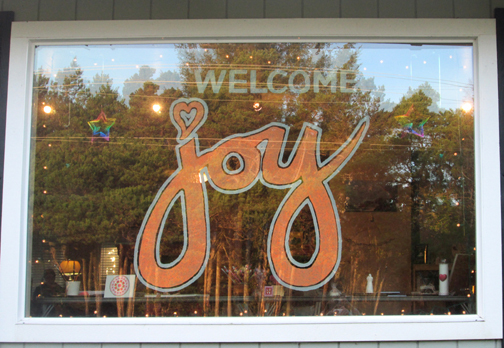 Locals and tourists alike enjoy the welcoming and peaceful atmosphere here at JOY. Thought we’d share a few images from the valentine’s show with you so you can feel the Love! 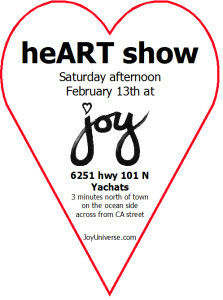 Come enjoy what local artists have created for our valentine’s show. Show us your Love ! Love the Pacific? Love Whales? Love Love? Love the Forest? Love Faeries? 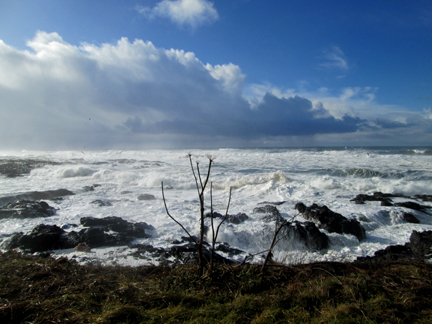 Love Yachats? Love Life? by 5pm, Sunday afternoon, February 7th.